Dr. Katherine (Holden) Rinard has come a long way since she graduated from Wylie High School in 2001, and yet, here she is right back where she started. Rinard, who will be the speaker at the 9th Annual We Are Wylie Dinner, lives right in the middle of the Wylie school district with her husband, Cameron, and their two children, Lauren, 7, and Olivia, 3, less than a mile from her parents, Leigh Anne and Jerry Holden. Rindard will be the guest of honor at the Wylie Bulldogs Education Foundation’s annual dinner, which will honor Wylie alumni who are working in the healthcare profession. The dinner is Oct. 4 at Lytle Bend Ranch. Rinard graduated as salutatorian of Wylie’s Class of 2001 and got her undergraduate degree at ACU. She went to medical school at the UTMB in Galveston and did her residency at Texas Tech followed by a urology residency also at Texas Tech. 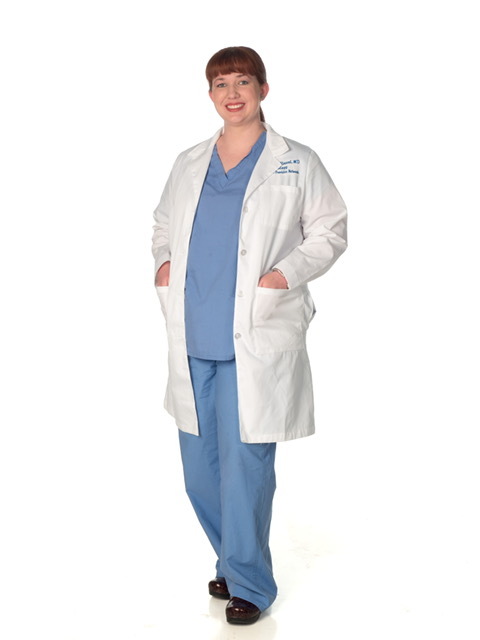 She came back to Abilene after her graduation in 2013 and became the first urologist in the Hendrick Provider Network. She is quick to name several teachers who influenced her during her formative years as a student at Wylie, starting with her kindergarten teacher, Kay McDonald. She says Craig Bessent and Joey Light also played roles in her success. Rinard said she also made some very special friendships while at Wylie. And finally, she said Wylie provided her important connections that continue to this day. The “We Are Wylie” Dinner is a fundraiser for the education foundation. Money raised from the event goes to help the foundation provide teacher grants, scholarships and gift cards for new teachers each year. Since 2010, the foundation has awarded more than $280,000 to teachers and students. Much of that has funded new technology for the classroom. This year’s dinner also will include a jazz quartet from the University of North Texas led by Wylie alumni Austin Martinez, as well as a silent auction and some fun featuring Wylie Superintendent Joey Light. To sponsor a table or reserve a seat at the table, go to WylieBulldogsEducationFoundation.com. Table sponsorships range from $500 to be a Friend Sponsor (four seats) up to $10,000 for the Bulldog Sponsorship. All sponsors who donate $5,000 or more will have their names listed on the Wylie High School digital End Zone Sign at 2017 home football games. All sponsors of $1,000 or more receive preferred seating for eight and will be listed in the program, on the website and in all acknowledgements. Individual seats can be reserved for a donation of $100. For more information on sponsoring a table, contact Denise Blake at dblake27@suddenlink.net or call Denise at 669-6621. Rinard said she is pleased to get a chance to be part of the foundation dinner. She said Wylie has had an immense impact on her life.